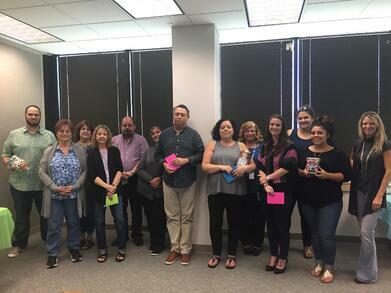 As for the stellar team of payroll professionals at FrankCrum, Deana Dukie has supported business owners for 11 years now. She’s a great fit for the payroll team because of her attention to detail and problem solving skills. She says she loves the fast pace and the opportunity to work with a variety of different clients. 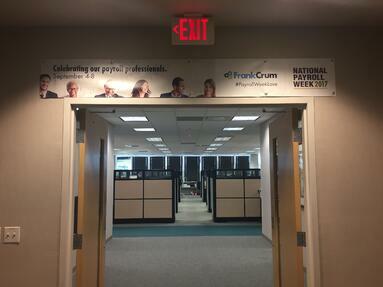 Linda Jacobs has only been with FrankCrum for about a year, but says FrankCrum has already made her feel like part of the family. She has a passion for helping others and she loves the feeling she gets from supporting business owners through their payroll process. 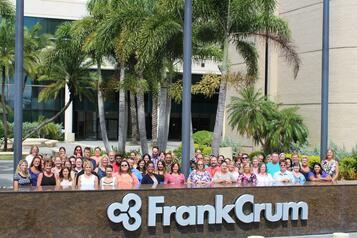 Liz Tipton has worked at FrankCrum for 13 years. 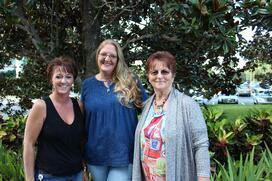 She considers herself a people person who thrives on her clients’ happiness. She enjoys her co-workers and the team mentality of working together for a common cause. 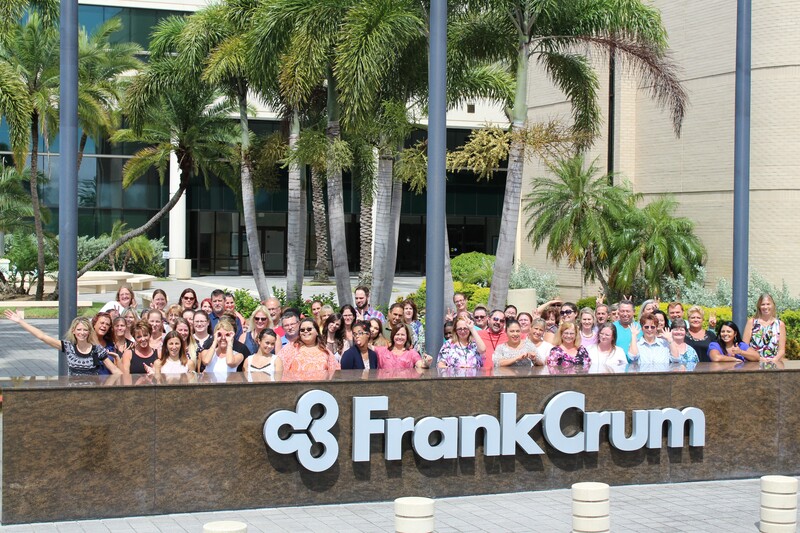 FrankCrum’s payroll team is made up of 85 employees who support business owners by managing tax compliance, direct deposit, complex payroll, wage garnishments, and per diems, among other things. 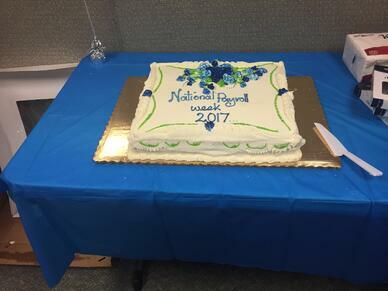 From the economic, cultural, and social achievements of workers, to the significance of “an honest day’s work for an honest day’s pay,” National Payroll Week is a celebration on many levels. 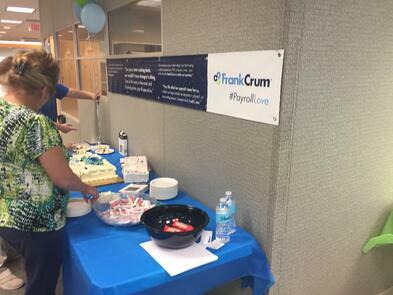 Here’s a taste of how FrankCrum’s payroll team celebrated this week.